People around the globe have become health conscious and implement measures to keep fit and healthy. Along with healthy diet, exercise and keeping alcohol intake in moderation, people are undergoing tests like lipid profile test to check whether their efforts have yielded fruits. 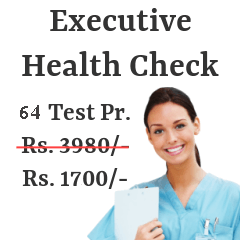 It can be a self-referred test and part of your regular health checkups. 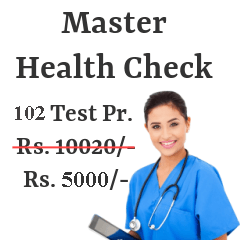 Here, is the list of medical centers across Pune where lipid profile test is available and that too at pocket friendly prices. Go through the list to select the appropriate hospital that suits your budget and place. 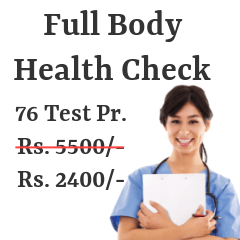 Following are the Lipid Profile Test centers from most reputed pathology / radiology labs in Pune. Near Orchid School, Baner Rd. Centriole Plot 90, Survey 129, 130/1/2 ITI Rd. Lipid profile test evaluates the percentage of fats in the body. The test gives you idea whether your fat percentage is in check or not. If it is not, then there are chances of suffering from obesity disorder. Lipids are fat-like substances and are important constituent of cell. The main function of fats is to provide energy and act as solvent for fat soluble vitamins like vitamin A, vitamin D, vitamin E and vitamin K.
There are no such precautions to be taken pre and post lipid profile test. Lipid profile test is a blood test that is usually done early in the morning. A sample of blood is collected from the vein in the arm. This blood sample is then sent to laboratory for further analysis. Once, you get your report it is better to consult it with doctor for proper guidance. Cholesterol can be divided into two types- good cholesterol (HDL-C High Density Lipoprotein Cholesterol) and bad cholesterol ( LDL-C Low Density Lipoprotein Cholesterol). Good cholesterol is useful to the body and is obtained from food sources like fatty fish, olive oil, nuts and seeds, etc. All foodstuffs made from refined flour constitute a source of bad cholesterol. One should try to increase the level of good fats in our body and reduce the level of bad cholesterol by controlling diet and exercising.